No more thinking you've got a new chat message on your computer when what you've actually got is a chat message you already saw on your iPad. You'll also be able to see all your chat messages from any device, not just the one you used to send/receive the messages in question. 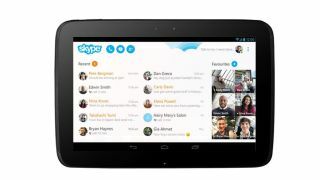 Unsynced chats have been a real bone of contention for Skype users - it seems crazy that it has only just now got round to implementing the sync as Skype tries to build its "mobile future". Also coming soon is a cool feature that will mean you only get chat notifications on the device you're actively using at the time.